We are delighted to announce the opening of our month-long exhibit of miniature quilts at the ArtServe gallery in Fort Lauderdale. The exhibit will be open to the public from Saturday February 2, to Thursday, February 28. Admission is free. When craftspeople speak of “the maker’s hand”, it is usually an acknowledgement of the visibility of human interaction with materials--something that might differentiate an object created by machine, and one created by hand. Those distinctive signs of handmade objects might be considered imperfections in an assembly-line world, but in the world of craftspeople, they are elevated to delightful signatures, badges of honor. Similar to what the Japanese call wabi-sabi, or the acceptance of transience and imperfection. Seeing the maker’s hand in a piece of work gives the viewer a close connection with the human who created it. The difference between art and craft has traditionally involved the cognitive transcendence of material and function. Craft remains tied to necessity and to the maker’s hand, as opposed to the maker’s intellect. The artist is credible by transcending the particularities of materiality. The craftsperson cannot claim the same transcendence and is therefore denied the same status. The beauty of craft is not restricted to its isolated formal characteristics, but includes consideration of production, materials, time and place. I argue that craft is beautiful furthermore because it is beneficial-- not just for the individual craftsperson, but through the creation of objects that engender a responsible relationship with nature and that celebrate the potential of human makers. We place quiltmaking alongside other artistic disciplines. We treasure the uniqueness of the quiltmaker’s work and her ability to form her vision in fabric and thread. 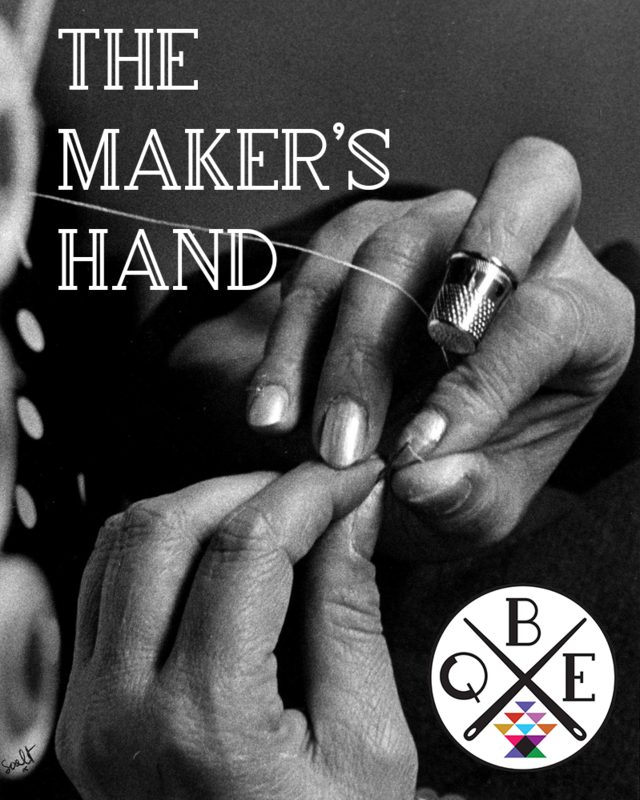 We seek out the maker’s hand so that she might share her experience with us.